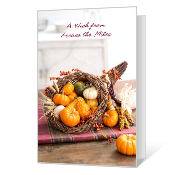 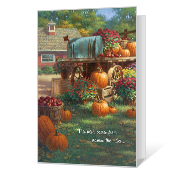 Cover Verse: A Wish from Across the Miles Inside Verse: ...for a very Happy Thanksgiving Day. 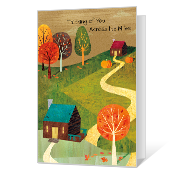 Cover Verse: This wish comes from across the miles... 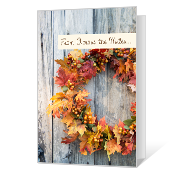 Inside Verse: ...for a wonderful Thanksgiving filled with love and happiness.